The North Carolina Digital Heritage Center is launching a pilot project to help preserve and improve access to historic films and videos in North Carolina’s libraries, archives, and museums. Working with its partners around the state, the Center will select a small number of films and videos, which will then be sent to a vendor to be digitized. The resulting digital files will be published online at DigitalNC.org where they will be made freely available to all users. The original films or videos will be returned to the institutions that contributed them. We are inviting our existing partners, as well as cultural heritage organizations that have not yet worked with the Center, to nominate moving images from their collections. (See http://www.digitalnc.org/about/participate/ to determine if your organization is eligible.) The Center will evaluate all of the nominations (see evaluation criteria). in an effort to select a variety of content in different formats and which represents the cultural and geographic diversity of North Carolina. Contact the Digital Heritage Center at digitalnc@unc.edu or (919) 962-4836 if you are interested in suggesting material to digitize or if you have any questions. Why Is this Just a Pilot Project? Digitization and online streaming of historic films and videos is complicated and expensive. 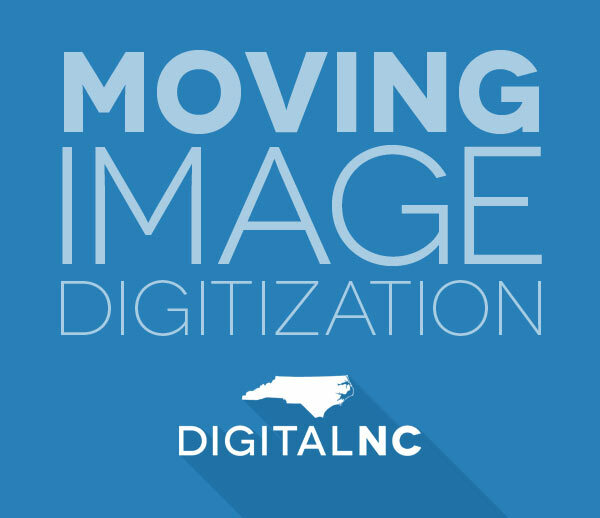 This project is an effort to determine the cost and viability of providing moving image digitization services to North Carolina Digital Heritage Center partners. Why Is Everything Being Digitized by a Vendor? Right now, the Digital Heritage Center has neither the equipment nor the expertise necessary to handle and digitize historic moving images. Working with an experienced vendor will be the most efficient and most affordable way for us to make this content available to users. How Will the Vendor Be Chosen? State laws require that we open up this project to a bidding process. While we do not know what vendors will bid and what prices they will offer, we will require that the work is done by a vendor that has experience working with rare and fragile materials. What If I’m Not Comfortable Sending Materials From My Collection to a Vendor? We understand that not every institution will want to send unique and fragile materials off site. However, for this project, we have decided that working with an experienced vendor is the best way for us to provide access to this content. Materials that cannot be sent to a vendor will not be selected for digitization as part of this project. I’ve Got Films That Are in Pretty Bad Shape. Can I Still Suggest Those? Yes. We understand that many of the historic films in libraries and archives are in poor condition. That’s part of why we want to provide a service like this. We will make sure that we work with a digitization vendor that has experience evaluating the condition of historic films and we will not proceed with digitization if the conversion process is going to harm the original. We will work with each institution to help determine the copyright status of the items nominated for digitization. For films that were created by individuals or companies, we will ask the nominating institution to make an effort to get permission to have the film digitized and shared online. We don’t know. That’s part of what we are going to determine as we work on this project. You should expect your materials to be off site for at least a few months. How Many Films or Videos Will Be Digitized? It depends. Format, condition, and length are all factors that will contribute to the cost of digitizing historic moving images. We will prioritize the films and videos we’ve selected and digitize as many as we can with what we’ve budgeted for this project. Is the film or video believed to be unique to your collection, or are there copies at other institutions? Do you have equipment available to play the film or video? Are you willing to have the film or video sent to a vendor to be digitized? Is there a catalog record or anything describing the content of the film or video? Was the film or video created by, or does it contain significant content by or about one of North Carolina’s historically underrepresented communities? Is there a demonstrated demand for online access to the film or video? If so, are there examples, such as requests from users or community members? A selection of student newspapers from Southeastern Community College in Whiteville, N.C., is now available on DigitalNC in the North Carolina Newspapers collection. The school was founded in 1964 and is part of North Carolina’s state-supported community college system. There are currently 60 newspapers online, ranging in date from 1966 to 1977. 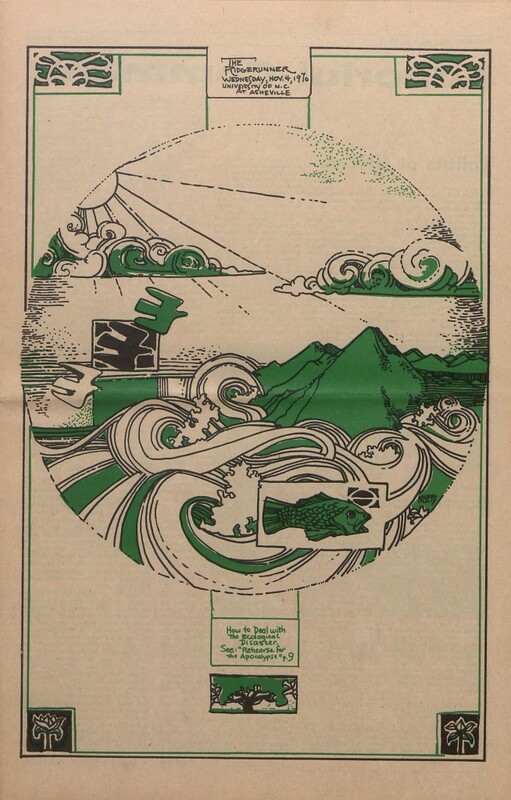 The issues online include articles about the school’s first graduation, news of a new computer on campus in 1974, and regular features on the “Miss SCC” pageant, but the paper also addressed broader issues, including coverage of a Jane Fonda speech at an anti-war rally in Fayetteville in 1970, a special edition covering the college’s black studies program, and concerts by Earl Scruggs and Dizzy Gillespie. Yearbooks from the Mercy School of Nursing in Charlotte, N.C. are now available online in the North Carolina Yearbooks collection. Mercy Hospital was founded in 1906 by the Sisters of Mercy and was the first Catholic hospital in North Carolina. Education was part of the core mission of the hospital from the beginning, with a nursing school established at the same time as the hospital. The North Carolina Digital Heritage Center worked with the Mercy School of Nursing to digitize and share online 45 yearbooks covering a half century of nursing education, from 1948-1998. 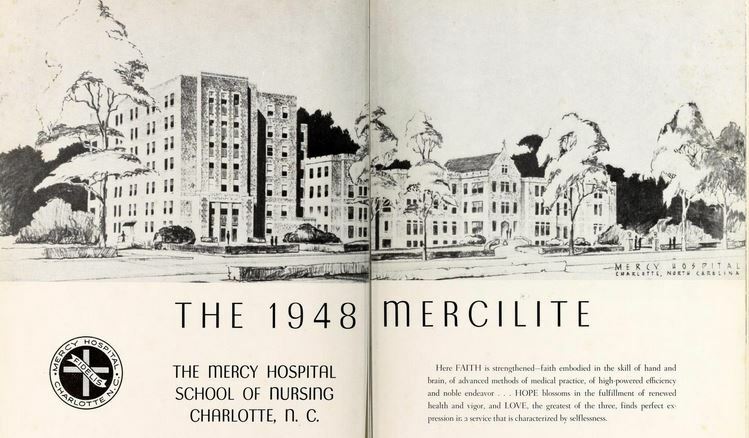 The Mercy School of Nursing yearbooks join those from other medical and nursing schools already available online, including recent additions from Rex Hospital in Raleigh and Cabarrus College in Concord, making DigitalNC a terrific resource for the study of history of nursing education through the 20th century. Yearbooks and reports from Robeson Community College, located in Lumberton, are now available on DigitalNC as part of the North Carolina Yearbooks collection. 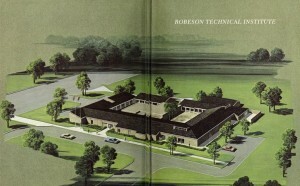 Roberson Community College was founded in 1965 as part of nearby Fayetteville Technical Institute. In 1968 the school established its own campus in Lumberton and joined North Carolina’s state-supported community college system. The North Carolina Digital Heritage Center worked with the library at Robeson Community College to digitize and publish online thirteen yearbooks and two reports. 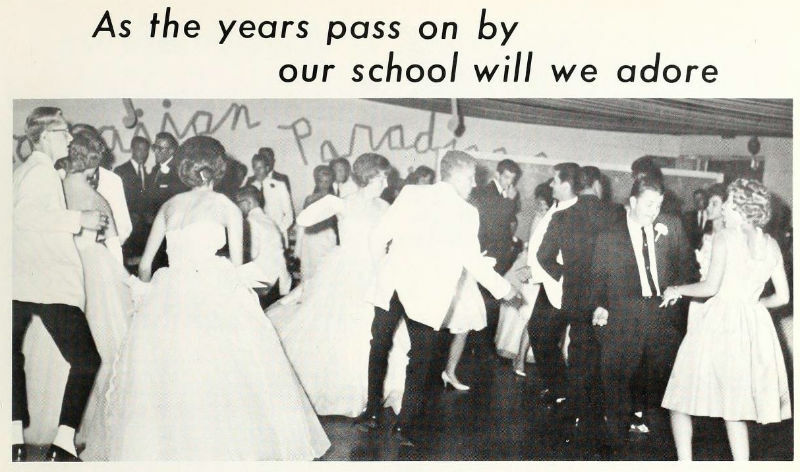 The yearbooks range in date from 1970 to 1983 and the reports document changes and growth in the school at its fifteenth and thirtieth anniversaries. Issues span back to when the school was Asheville-Biltmore College, through its name change and inclusion in the UNC system (1969). As the North Carolina heat continues to broil us all, many are sitting in our offices daydreaming about our upcoming vacations or perhaps ones that have just past. North Carolinians who worked in factories across the state were much the same in the middle of the 20th century. Company newspapers, which shared news about the company itself, the town the factory was in, and the people who worked for the company, would often feature vacation announcements in the summer months to report on where everyone was returning from after a nice week off. DigitalNC has several company newspapers available online, including the Erwin Chatter and Firestone News. The Erwin Chatter, was published by employees of the Erwin Cotton Mills Company in Cooleemee, North Carolina. It appears that at the mill, everyone took “vacation week” at the same time. The paper reported, often with a bit of humor, the travels of everyone. The Firestone News, put out by the employees of the Firestone Tire Factory in Gastonia, North Carolina, also featured updates on employees vacations, separated out by the department they worked in, and sometimes included the employee’s job description as well. So if you haven’t figured out vacation yet, perhaps these news clips can give you a few ideas. Myrtle Beach appears to be a particular favorite, or perhaps you could motor through the North Carolina mountains and go fishing. To view more North Carolina newspapers, visit here. We’ve just posted a wide variety of photos, yearbooks, scrapbooks and other documents from one of our newest partners, Rex Healthcare Library in Raleigh. Many of these items document the history of the Rex Training School for Nurses as well as Rex Hospital, which both opened in 1894. We’re so pleased to help present documents that describe such an integral part of North Carolina’s nursing and healthcare history. 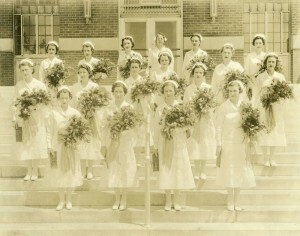 The Training School for Nurses was the first school of nursing to be established in the state. The first class had four graduates, and they learned “at the convenience of the doctors” while actively caring for patients. The school accepted its first male student and first official African American student in 1966. It operated until 1974. Just a quick post to let you know that we’ve added 5 more items from Yadkin and Surry Counties, courtesy two members of the Northwestern Regional Library System, Yadkin County Public Library and King Public Library. Addendum to the Maroon and Grey, 1929-1959, published by the Franklin School Alumni Association of Mount Airy. This brings us to more than 100 yearbooks from the Northwestern Regional Library System. 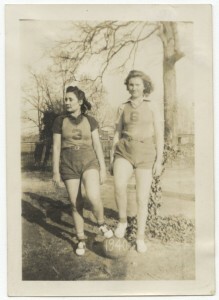 Sarah Skyler and Doris Weeks posing with basketball (1940). The North Carolina Digital Heritage Center recently uploaded more materials from the Braswell Memorial Library (Rocky Mount, N.C.). Several of the items and documents had belonged to Selma Lee Rose, including a collection of photographs, her high school transcript, and a certificate of baptism for Selma Joyner. Also included in the recently digitized Braswell Memorial Library materials is not the first but the second commemorative napkin in our digital collection! 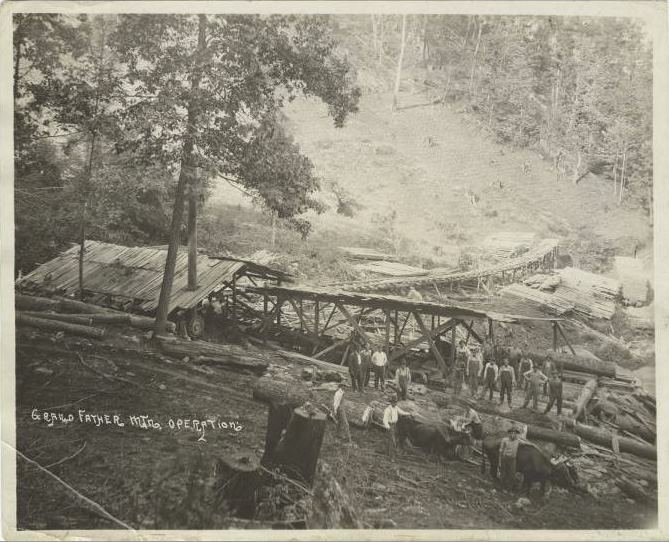 Photographs collected by Historic Boone and housed at Watauga County Public Library are now available online through the North Carolina Digital Heritage Center. Historic Boone, formed in 1994, is a nonprofit organization dedicated to the collection, preservation, and exhibition of materials related to the history of Boone, North Carolina. The photographs depict life in and around Boone from the 1880s through the 1990s. The collection covers a wide variety of subjects. In addition to portraits of long-time residents, there are aerial and landscape photographs of the town. 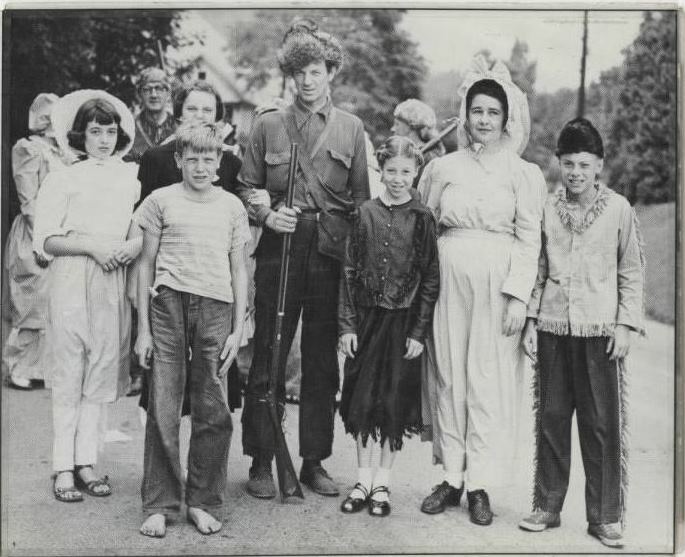 Group portraits of students and civic groups are plentiful as are photos of historic buildings, some of which are no longer standing. Streetscapes are also well represented while a number of photographs document the 1949 Watauga County Centennial Celebration. Anyone with an interest in the history of Boone or Watauga County should find this collection helpful. 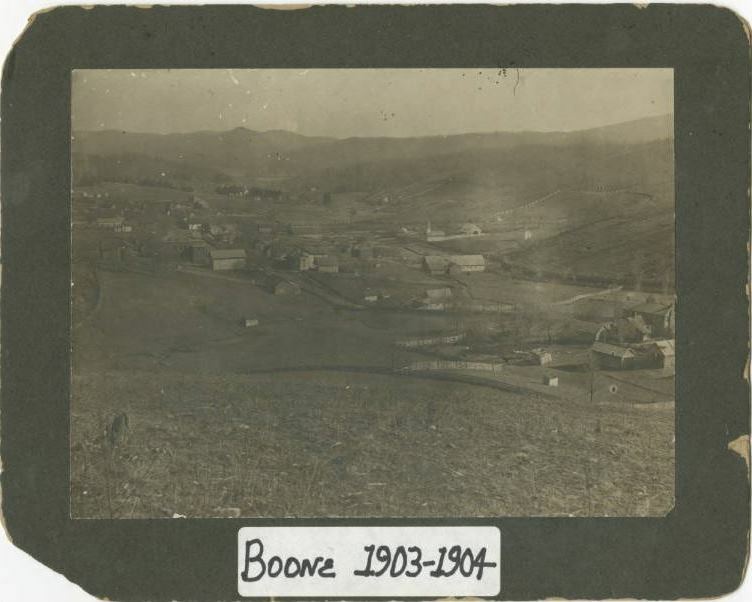 More information about Historic Boone is available here.